Whether you're throwing a Cinco de Mayo bash, your best friend's bachelorette party, or you're just looking to add a show-stopper to your home decor, it's time to break out the Grande Margarita Glass. It's big enough to showcase food, drinks, decorations - anything and everything your creativity calls for. Tooters Plastic Super Margarita Glass, 42 oz. 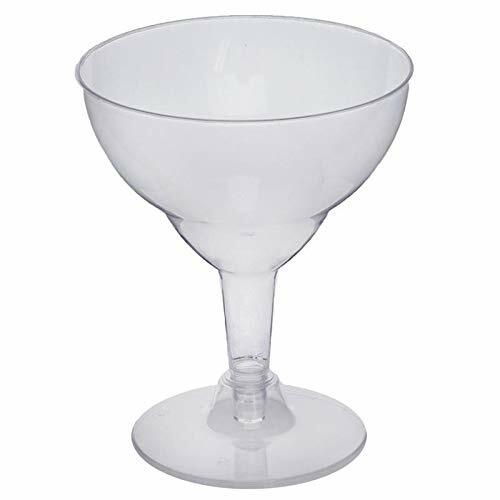 These durable plastic supersized margarita glasses have the look and feel of glass without the threat of breakage. Clear plastic margarita glasses will show off 42 ounces of your most colorful drinks. Whatever flavor margarita you serve, everyone will be impressed when served in this plastic margarita glass. Makes a great vessel for your multiple person cocktail promotions. 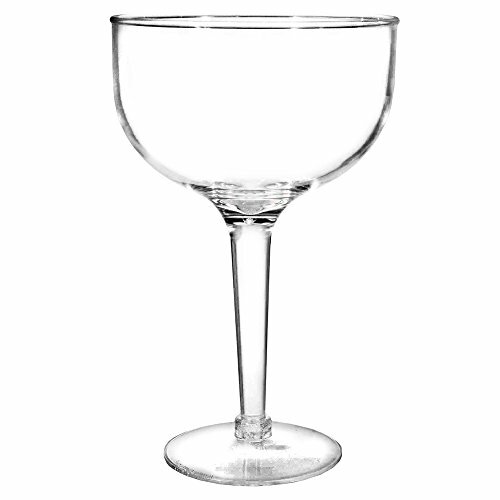 This large margarita glass is a must have for bachelorette parties and 21st birthday parties. Use this super margarita to serve vips and guests of honor. This is a novelty glass that most people will never forget. A terrific option for centerpiece crafts and holiday decor for many occasions. Acrylic margaritas are a one piece design that is made of acrylic plastic and are case packed 12 per case. These plastic margarita glasses are a great fit for bbq's, pool parties, or any casual get together. Not only can you choose whether your rim is salted or not, you can also select what color your margarita appears with the simple push of a button. LED light up margarita glasses take the popular tequila-based beverage to the next level. This set of 4 high quality clear acrylic 10.5 oz margarita glasses are an essential element of every well-stocked bar, and can accommodate both on the rocks and frozen drinks. Just follow the blinking, flashing lights as a multi-color cocktail is created before your eyes. Each glass stem contains (3) high-powered LEDs-one red, green and blue-powered by the conveniently included and installed (3) AG13 batteries. Enjoy a dazzling display of color and light when you choose from a variety of light modes. With the simple push of a button, select from a solid red, green, blue, purple, turquoise and multi-color setting, or flash, blink and morph thru all of the vibrant colors. 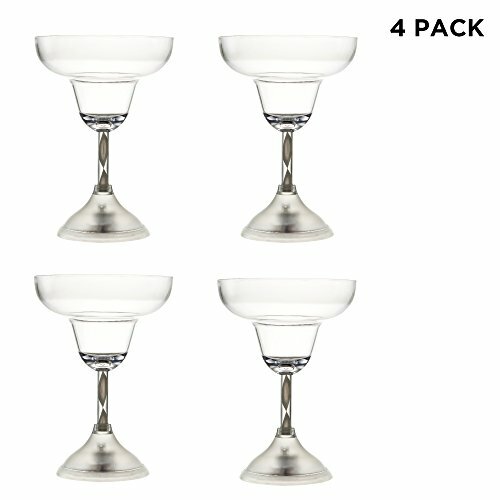 This 4-pack of LED margarita glasses is perfect to celebrate traditional Mexican holidays like Cinco de Mayo and Dia de los Muertos, and add cool, colorful flair to any fiesta. Plastic margarita glass sets make a great gift, giveaway, party favor and prize. Cheers! 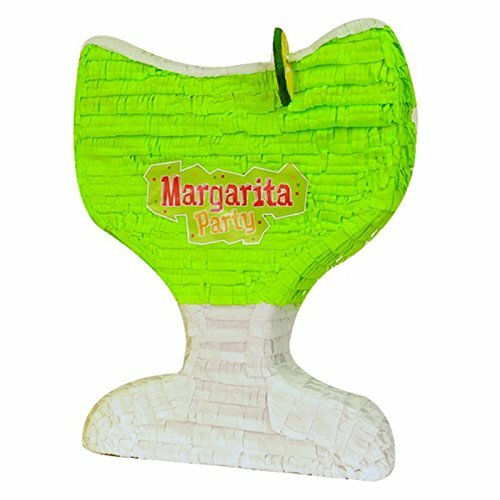 Our margarita glass piñata is perfect for a Mexican fiesta this piñata makes a great decoration centerpiece, fun party game and exclusive photo prop. Piñata measures 17 inches high by 14 inches wide by 4 inches deep and holds up to 2 pounds of toys and candy (sold separately). Comes with strong cable tie at the top for hanging piñata. Decorated with fringe-cut tissue paper and print cutouts. Entertainment just got easier. Serve your guests using these plastic glasses and let your great food to speak for itself! WHAT YOU GET:Each glass measures approx. 5.5" tall x 4.75" wide. Capacity: 12 oz per glass. Material: BPA Free Plastic. Small assembly is required. 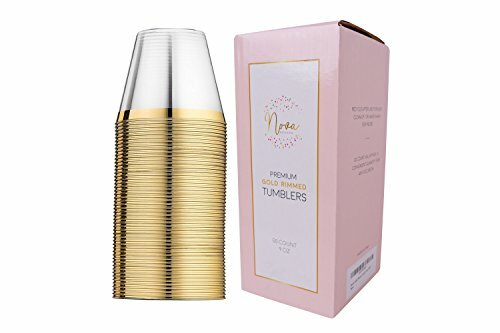 Elevate the elegance and convenience of your next event with premium Nova Brand tumblers. This 9 oz plastic cup feature a fancy gold rim and are made with the finest quality BPA-free material. Perfect for weddings, birthdays, bachelorettes, baby showers, graduations, and special occasions. Margaritas are just about one of the sweetest things we could think of, so we made a sweet glass to match. The Claret margarita is short in stature, but makes up for it in bowl size. Sip and enjoy! 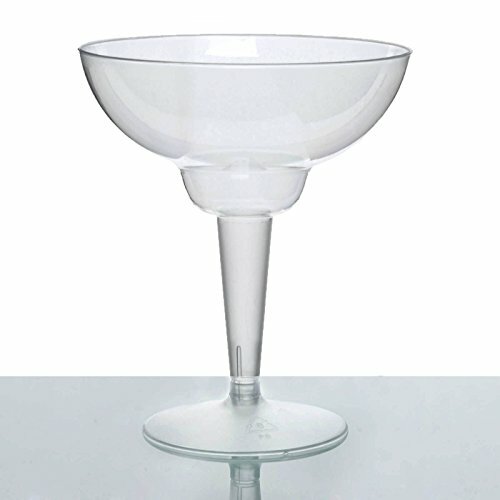 These lightweight, yet durable, Libbey Stemless Margarita Glasses add a touch of sophistication to any relaxed setting. 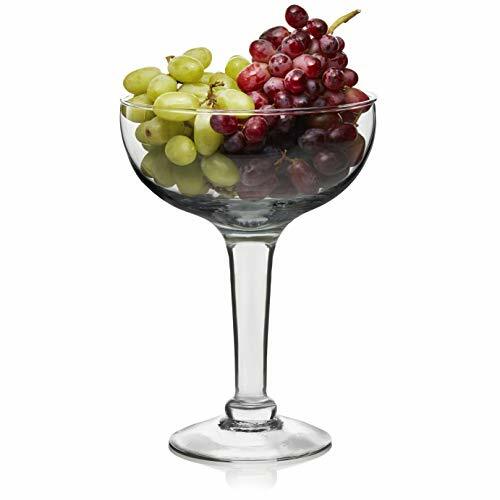 While the wide rim is ideal for serving your favorite margarita with salt, the unique glass shape is also perfect for elevating your dessert presentation. Your guests will enjoy easy carrying (and less spilling) thanks to the shallow bowl and stemless design of these 10.25-ounce margarita glasses. Proper care and handling of your Stemless Margarita Glasses will help preserve them for years to come; please refer to the Libbey website for full instructions. Your drinkware is securely packaged to arrive in perfect condition. No more broken glassware! These glasses have the look and feel of real glass, and the advantage of being unbreakable polycarbonate. Entertainment just got easier. Serve your guests using these plastic glasses and let your great food to speak for itself! WHAT YOU GET:Each order is for ten (10) plastic margarita glasses. Each glass measures approx. 5.5" tall x 4.75" wide.Capacity: 12 oz per glass.Material: BPA Free Plastic.Small assembly is required. PLEASE NOTE: This item can be returned to Walmart stores. BIMINI ART GLASS ELEPHANT CENTERPIECE ,COMPOTE, MARGARITA GLASS. Thank you for watching this video. The flowers, marbles, jewelry and diamonds are from the Dollar Tree. The mirror and both martini glasses I bought at the Thrift Store and the diamond wrap from craft store. I added my own spin to this martini glass centerpiece.